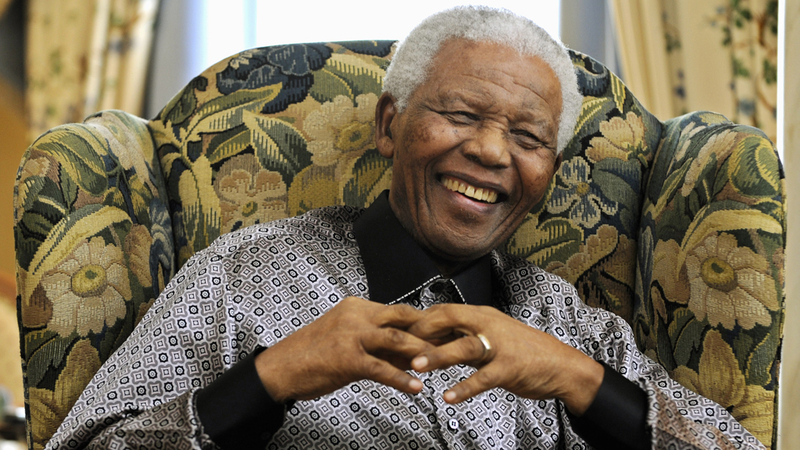 The world’s most revered statesman, who became a symbol of hope and justice after leading South Africa out of the apartheid era, has died at the age of 95. Channel 4 News looks back at his life. South African statesman Nelson Mandela has died, after suffering a recurrence of a lung infection. Since his high-profile appearance at the World Cup final in Johannesburg in summer 2010, Mandela appeared increasingly frail. He was admitted to hospital in Johannesburg at the beginning of 2011, and again in January and December 2012, leading to widespread concern about his health. In March he returned to hospital for a check-up and was released on 10 March following a medical test. At the time, presidential spokesman Mac Maharaj said Mandela was “well”. He retired from public life officially in June 2004 before his 86th birthday, telling his countrymen with characteristic good humour: “Don’t call me, I’ll call you”. The figurehead of democracy in South Africa, Nelson Mandela was held in high esteem, not just in his own country but around the world, for his fight against inequality and injustice – a fight that came at a high personal cost. Yet after 27 years in prison, he emerged without bitterness towards his captors, and continued his dignified fight. “I have no doubt he’s going to be remembered as an icon of reconciliation and forgiveness; a person of very considerable magnanimity; a person who was able to preside over a process of transformation,” Archbishop Desmond Tutu told Channel 4 News. Mandela was born in rural Transkei, the son of a polygamous marriage, and was the first in his family to go to school. He was educated by Christian missionaries who gave him the name Nelson, and he grew up in white-ruled South Africa. Mandela joined the African National Congress (ANC) as a student. Initially, the party believed in a Gandhian, non-violent struggle for equality. But after the massacre of 69 demonstrators by security forces at Sharpeville in 1960, the ANC decided that an armed struggle was the only solution. In 1963, Mandela and his colleagues targeted military and government institutions, and he was eventually arrested for his role in the armed group. During the Rivonia trial, he garnered widespread attention for setting out his vision for democracy and equal rights for all South African citizens. For 18 years of his imprisonment, he was at Robben Island, where he was tasked with manual labour and broke stones with the other prisoners. Mac Maharaj, a fellow ANC prisoner, recalls Mandela’s reaction when the head of prisons treated him with disrespect. “I was live outside the prison gates, craning to catch this first glimpse if a man we had not known or seen in the flesh in our lifetime. We did not even know what he would look like. The last image from 27 years previous was of a well built man – Mandela had been a boxer in his time. “Suddenly, there was a commotion outside one of the low-slung huts some 800 yards from our position outside the gates. Gradually the throng parted to reveal a tall, grey-haired Mandela – unmistakeably Mandela – striding with his hand aloft grasping his wife Winnie’s hand. Read more from Jon Snow on Mandela’s walk to freedom. During his 27 years in prison, Mandela became an international symbol of the repression of black people in South Africa – and of the struggle against injustice and racism. Campaigners in London and around the world marched for his release and for an end to apartheid. The song Free Nelson Mandela became the anthem of a generation. But by the late 1980s secret talks were underway, and Mandela walked out of prison, hand-in-hand with his then wife Winnie, in 1990. Almost immediately after his release, he called for South Africans to “let bygones be bygones” and led South Africa away from violence and towards a peaceful democracy, entering the next phase of his life as a political statesman. He was awarded the Nobel prize for peace in 1993 – along with FW de Klerk, the president who had released him – and in South Africa’s first free, multi-racial elections in 1994 he was voted in as president. During just one term, Mandela concentrated on rebuilding South Africa’s image, while his deputy Thabo Mbeki looked after the day-to-day running of the government, eventually replacing Mandela and becoming the country’s second post-apartheid president. 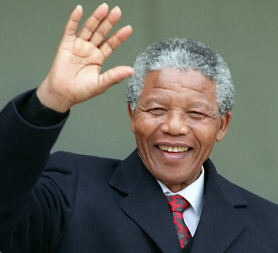 After stepping down as president, Mandela played a leading role in facilitating political progress and reconciliation in other conflict-ridden countries. He also founded the Nelson Mandela Foundation, partly aimed at helping South Africans with Aids – a problem he felt he had failed to address while in power. He is survived by his wife Graca Machel, widow of the late Mozambican president, whom he married on his 80th birthday, and by six children, 20 grandchildren, and a number of great-grandchildren.